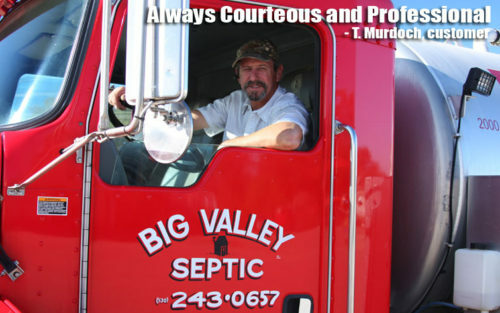 Big Valley offers both commercial and residential septic tank pumping. Emergency and weekend service is also available. We offer a full line of legally authorized commercial grease disposal services. We offer Portable Toilets, Special Event Toilets, Wash Stations and more. 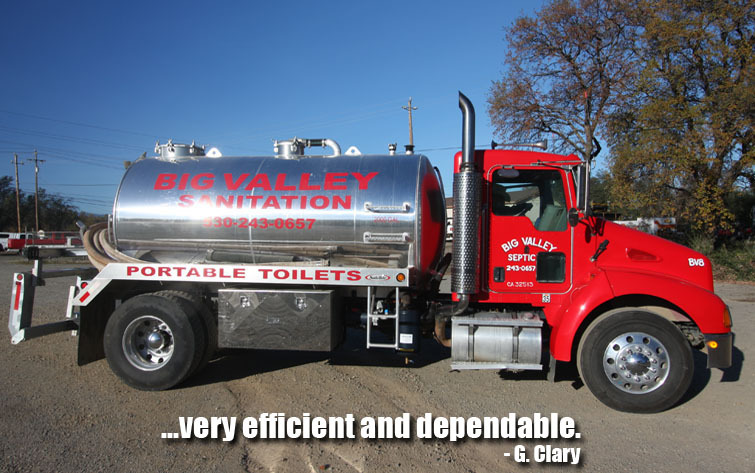 Big Valley Sanitation has been providing septic tank, grease trap pumping, and portable toilet services in the Northern California area for over 15 years. There is never a job too small or too big. Our phones are answered 24 hours a day 7 days a week. All our equipment is top notch and clean ready for any job called in. The office is happy to hear from you and we will respond to any issue you are having or order you are placing quickly and professionally. Provided quality services for all units. Equipment is top notch, and service is dependable. Big Valley Sanitation has been serving the North Valley since 1997. Our services include portable toilet rentals, septic services, and grease pumping. We have options for all your needs, including emergency services, temporary rentals, and long-term arrangements. Our wide service area, courteous drivers, excellent products, and large fleet of service trucks are the reason North Valley residents choose Big Valley more than anyone else. Residential or Commerical, we have the equipment to take care of your needs. Contact us today to get started.